US investigating treatment of addicted prisoners in Mass. 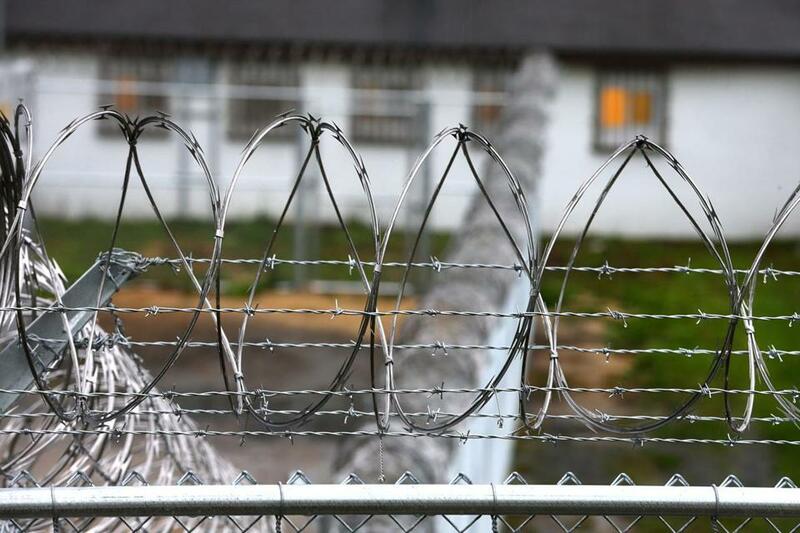 As many as two-thirds of prisoners have a substance-use disorder in Massachusetts. The US Department of Justice is investigating whether Massachusetts prison officials are violating the Americans with Disabilities Act by forcing incoming inmates who had been taking medications for addiction to stop the drugs once behind bars. US Attorney Andrew E. Lelling revealed the investigation in a letter that was received by state health and public safety officials late Tuesday. It is not clear how many prisoners would be affected by a change in this policy. But as many as two-thirds of prisoners have a substance-use disorder. Advocates welcomed the inquiry and said Wednesday that Lelling’s letter is the beginning of a Justice Department effort to eliminate barriers to addiction treatment nationwide — despite criticisms that the Trump administration has not done enough to address the opioid crisis. Lelling’s letter focuses on arriving inmates already under treatment for addiction and does not address whether medications should be introduced to opioid-addicted prisoners during incarceration. But it again spotlights a prison policy that has become increasingly controversial. Prisons in Massachusetts, as in most states, do not offer methadone or buprenorphine (known by the brand name Suboxone) to opioid-addicted inmates, even though they are standard treatments outside of prison. The drugs stop the craving for opioids and prevent overdoses, and they have been shown to help people stay in treatment. Prisoners who do not receive them are at extremely high risk of overdose after release. The state Legislature recently removed a proposal to require medication-assisted treatments in all prisons, jails, and houses of correction from a major criminal justice bill that is nearing approval by the House and Senate. But supporters of the proposal are seeking to attach it to other opioid-related legislation under consideration. Correction officials have said they oppose using buprenorphine and methadone in prison because the medications are opioids that can be used illicitly, and buprenorphine is frequently smuggled into cells. Felix Browne, a spokesman for the Executive Office of Public Safety and Security, acknowledged receiving Lelling’s letter and said the department will cooperate. He also said in a statement that the Department of Correction identifies opioid-addicted inmates, offers treatment, and provides a system to guide their reentry into society. A spokeswoman for Lelling and a spokesman for the Department of Justice’s Civil Rights Division declined to comment Wednesday. Sally Friedman, legal director of the New York-based Legal Action Center, a nonprofit that fights discrimination against people with addiction, said a Department of Justice official announced at a meeting she attended in December that the Civil Rights Division intended to pursue ADA violations in prisons as they relate to addicted people. Leo Beletsky, a Northeastern University professor of law and health sciences, said he had spoken with assistant US attorneys in Boston and Department of Justice officials in Washington, D.C.
An October letter from the acting US attorney in Manhattan to the New York State attorney general addressed similar issues as they relate to parental visitation rules in family court. It asserts that people who take prescribed medications for addiction often qualify for protection under the ADA because their addiction is a disability. Thus, the New York letter states, the court cannot deny a parent visitation with a child or refuse to facilitate a parent’s reunification with a child because of a past history of opioid use disorder or current use of medication-assisted treatment. Unlike the Massachusetts letter, the New York letter does not mention an investigation and does not focus on prisons, instead offering guidance to family and probate courts. Massachusetts prisoners nearing discharge are offered a shot of Vivitrol, a drug that blocks the high from opioids for up to a month, and are connected with “navigators” who help link them to services in the community. Since the program started in 2014, more than 400 inmates have received a pre-release injection of Vivitrol. But methadone and buprenorphine are not provided, not even to ease the pains of withdrawal. Inmates in Rhode Island and in some Connecticut prisons are offered all three addiction medications, but most US prisons and jails do not provide them, except for giving methadone to pregnant women, because withdrawal can endanger the pregnancy. Even federal prisons do not offer medication for addiction, except for pregnant women and a small pilot program offering Vivitrol shortly before release. The Trump administration’s national opioid strategy emphasizes the importance of evidence-based treatment. But in an apparent contradiction to the Justice Department letters, it favors one drug, not all three, in criminal justice settings.